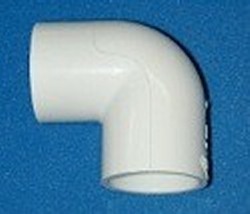 3/4" sch 40 PVC 90 elbow. NSF rated. Imported, Made in China, fully NSF-PW (61) and IAPMO rated.